The oft-injured Greg Bird is once again on the shelf. 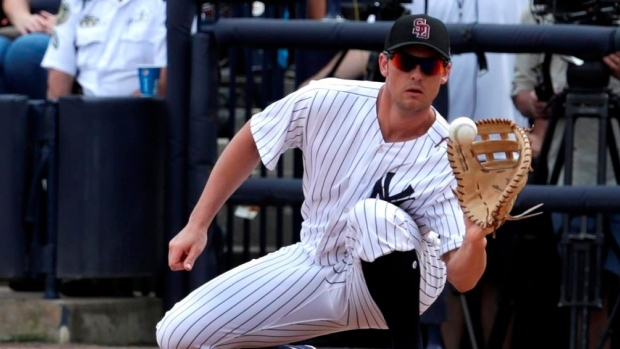 The New York Yankees placed the 26-year-old first baseman on the 10-day injured list retroactive to Sunday with a plant fascia tear. In corresponding moves, infielder Mike Ford has been recalled from Triple-A Scranton-Wilkes Barre and outfielder Jacoby Ellsbury has been transferred to the 60-day IL. Bird was off to a hot start this season. Through 19 games, Bird is batting .333 with three home runs, 10 runs batted in and an OPS of 1.143. This is the latest in a series of injuries for the Memphis native who missed the entirety of the 2016 season and was limited to just 130 games over the last two campaigns. The Yankees (6-9) open up a series with the Boston Red Sox (6-11) on Tuesday night in the Bronx.